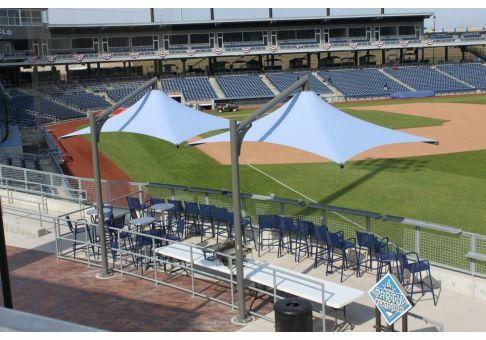 The 10 ft. Skyspan Vista Square Structural Umbrella features an attractive cantilever design that offers maximum shade efficiency. 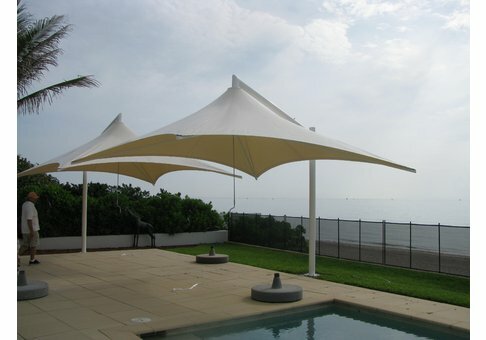 The Skyspan Vista Umbrella has been engineered to withstand winds of up to 75 mph and substantial sun exposure. 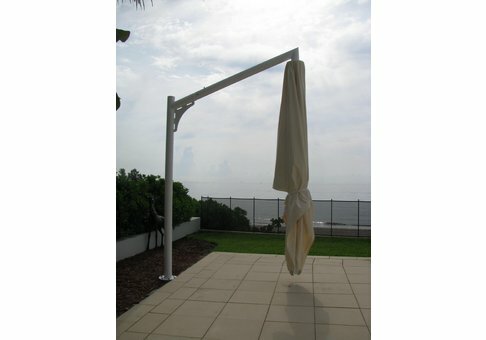 This umbrella features a durable powder coated aluminum frame with stainless steel hardware, making them ideal for marine environments. The Vista's offset column allows for full use of the space beneath the canopy which is ideal for restaurant patios. Sky Vista canopies are extremely strong, constructed of flame-retardant 17.4 ounce Ferrari Precontraint 502 fabric. While these umbrellas are designed to endure a variety of inclement weather conditions, they can be retracted in approximately 30 seconds with an easy-to-use crank handle. 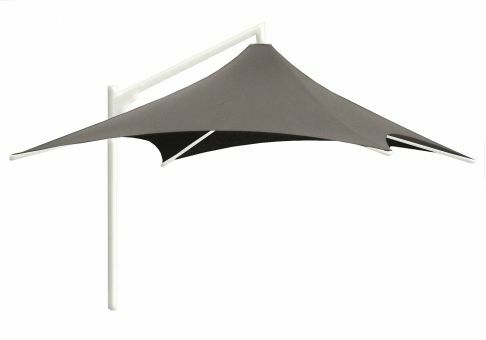 Our Skyspan umbrella canopies are made with Ferrari Precontraint 502 fabric and are certified to meet California State Fire Marshal Title 19, NFPA 701, ASTM E-84, and Canada ULCS 109 requirements. Custom umbrella structures are also available. Please contact our friendly customer service department at 800-278-4480 or by email to build your quote today!